Thrilled to be announcing that I will be offering for the first time a Winter Flower Share. A few of my Summer Flower Share members requested flowers in winter, saying they wanted flowers around just as much if not more in the winter than in the summer. Flowers can be picked up or delivered at no extra charge and can be weekly, bi-weekly or monthly. Email me soon and we’ll figure out the right package and schedule. The perfect gift for the do-it-yourselfer who is not sure where to start. Melissa will come to your garden for one hour to help you select the best plants for your yard. I love helping people create something new or refine an existing space. This package includes a one hour consult and a custom map and plant list as well as a shopping list for the garden. A great gift for anyone in the Madison area. Melissa will provide a raised bed made of untreated cedar and filled with the best organic soil, perfect for planting your choice of Children’s Edible Garden, your own Cutting Garden, or an Herb Garden. All plants and planting included. Melissa will design and plant a garden that blooms all four seasons. Perennial gardens are an investment that will add to the value of your home. Your loved ones will think of you each time they are enjoying their new perennial garden. Leave the stress and mess behind. Melissa will come each week for two hours and tidy up the yard by watering, weeding, deadheading, and planting flowers and grass seed in bare spots. All the joy of a beautiful yard, none of the hassle. Mel’s Green Garden would love to create spectacular 4-season pots for you — perfect to greet you and your loved ones at your door. Melissa will tailor the pots to fit your favorite colors, textures and tastes. 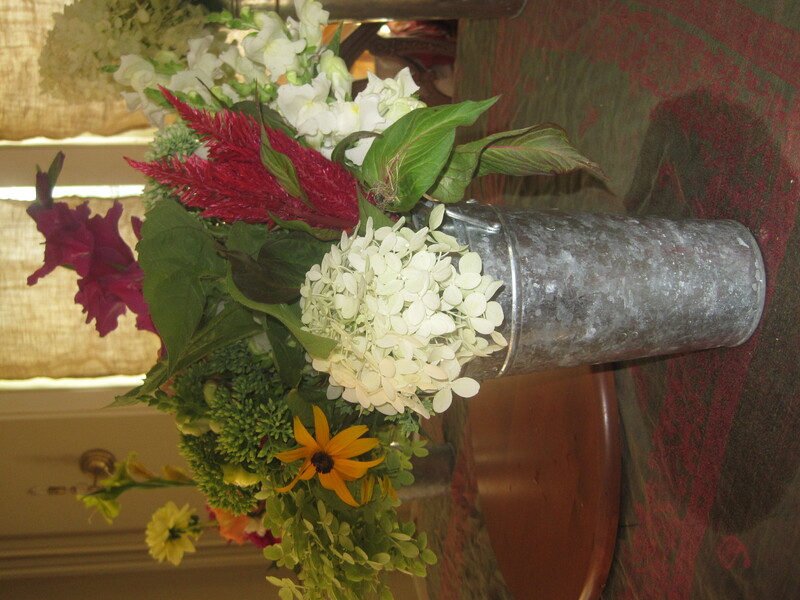 A typical design from Mel’s Green Garden would keep the arrangements seasonal. In the Spring, we’d start with loads of pansies, snapdragons to tolerate any late-season frosts. For summer, your pot might feature King Tut grass as the thriller, then Persian shield, fishnet-stocking coleus, black petunias and tradescantia as the filler, with loads of spillers: black sweet potato vine, lime green creeping Jenny and green sweet potato vine. In the fall, Mel will pay a visit to freshen up your pot with hardy mums, black kale, ornamental millet for the fall thriller and a few more pansies for the spiller. Come winter, your pot will peak and make your dark days merry and bright with a tall tepee of white birch branches as your thriller, filled in with manzanita branches and twig lights and winterberry branches, and layers and layers of evergreens as the spiller. Melissa can use your existing pots but will be glad to provide just the right sized pots for the project too. Prices vary on size of pot and number of seasonal changes.